Real Madrid Vs Manchester City Head To Head Record In History: The two biggest football clubs of their respective countries Real Madrid and Manchester City are drawn against each other in the semi-final fixture of the Champions League 2015-16 season. The English giant club Manchester City will host Spanish and World’s biggest football club Real Madrid on 27th April 2016 at Etihad Stadium. Both teams have met only three times in which Real Madrid have good record. 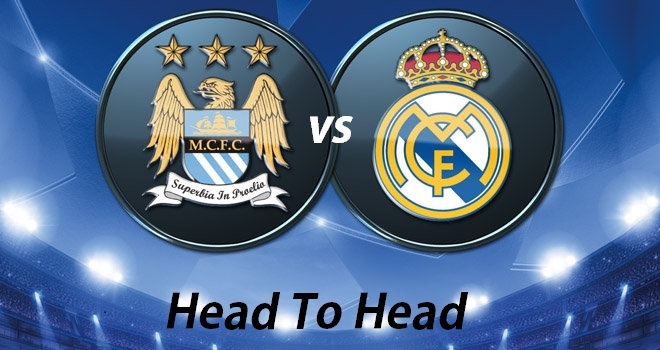 Take a look on the Real Madrid Vs Manchester City Head To Head. Real Madrid and Manchester City have played only 3 games. Previously, they met in the International Champions Cup in which Madrid thrashed the City with 4-1. On 2012, they met in the group stage in which Real Madrid won the first leg by 3-2 while second leg was ended with 1-1 draw. Both teams will take on against each other in the first leg of semi-final fixture of the Champions League on 27th April 2016. While on 5th May, they will play second leg match. The Champions League get underway in their ending stage and the first night of mouthwatering fixture will be held on 27th April 2016 at Etihad. Real Madrid will play against Manchester for the fourth time in their history. Both teams will be looking to start the semifinal fixture with a win.